In LOVE with my Hayden Reis tote! Cute bag and I am loving those Tory Burch sandals!! 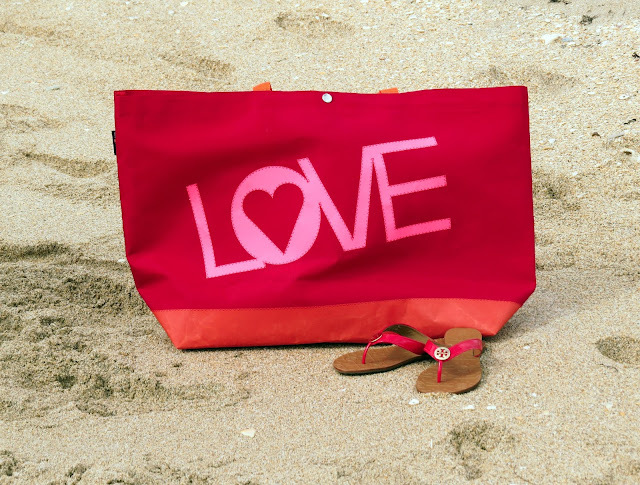 That is such a cute beach bag and even cuter shorts! Wanting to try a new pink lipstick. I see you wear both Mac Candy Yum Yum and Pink Nouveau. Thy both look great on you but look similar from the pictures. Which do you prefer for summer? Thanks! I entered! That bag is amazing! Love these pictures.. makes me want to go to the beach!! I LOVE those high waisted floral shorts :) So cute!